"SBL Handbook of Style: Explanations, Clarifications, and Expansions"
Society of Biblical Literature. "SBL Handbook of Style: Explanations, Clarifications, and Expansions." "This supplementary site highlights changes from the second edition [immediately below] and notes corrections and additions that will be included in the third edition." Collins, Billie Jean, Bob Buller, and John F. Kutsko, eds. 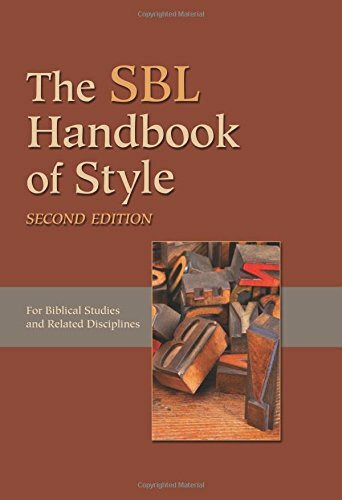 The SBL Handbook of Style, Second Edition: For Biblical Studies and Related Disciplines. Atlanta: Society of Biblical Literature, 2014. "Student Supplement to 'The SBL Handbook of Style, Second Edition'"
Nogalski, Melanie Greer et al. "Student Supplement to 'The SBL Handbook of Style, Second Edition.'" Edited by Joel M. LeMon and Brennan W. Breed. Atlanta: Society of Biblical Literature, February 2015. RefWorks is a tool for managing all your citations. Organize citations into folders by class or topic. Automatically create formatted references lists. Use within Word to create formatted in-text citations. RefWorks libguide, or visiting the RefWorks Support Center online. *For SPU users transitioning to the RefWorks 3.0 platform from the Legacy version, refer to these step-by-step instructions [PDF] to get started creating your account and importing your Legacy records. 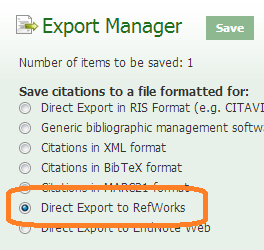 You can export citations from many databases into RefWorks. Just look for an "Export" link. Even using RefWorks, you will need to verify the citation against official style sources, as imported citations can include formatting errors and typos. the SBL blog SBL Handbook of Style. Billie Jean Collins, Bob Buller, and John F. Kutsko, The SBL Handbook of Style, Second Edition: For Biblical Studies and Related Disciplines (Atlanta: Society of Biblical Literature, 2014), located in the Library at REF PN147 .S26 2014, as well as at the link online, as summarized for students by Melanie Greer Nogalski et al., "Student Supplement for 'The SBL Handbook of Style, Second Edition,'" ed. Joel M. LeMon and Brennan Wood (Atlanta: Society of Biblical Literature, February 2015), https://www.sbl-site.org/assets/pdfs/pubs/SBLHSsupp2015-02.pdf. the boxes below for some tentative and non-authoritative examples and interpretations in application, many of them composed with fear and trembling before the official SBL blog was created, and not properly modified since. Later I hope to add counterparts for the Author-Date and Works Cited option. The SBL Handbook of Style guides more than simply Citation Style (sec. 6, pp. 68-108). See, for example, secs. 4 (on General Style, pp. 12-54), 5 (on Transliterating and Transcribing Ancient Texts, pp. 55-67), and 8 (on Abbreviations, pp. 117-260). For some of the general rules, added as questions about them arise, see the box at the bottom labelled Further Notes on SBL Style. 6. Brian Bantum, Redeeming Mulatto: A Theology of Race and Christian Hybridity (Waco, TX: Baylor University Press, 2010), 75. 17. Bantum, Redeeming Mulatto, 83. Bantum, Brian. Redeeming Mulatto: A Theology of Race and Christian Hybridity. Waco, TX: Baylor University Press, 2010. 6. David R. Nienhuis and Robert W. Wall, Reading the Epistles of James, Peter, John, and Jude as Scripture: The Shaping and Shape of a Canonical Collection (Grand Rapids: Eerdmans, 2013), 17. 17. Nienhuis and Wall, Reading the Epistles of James, Peter, John, and Jude as Scripture, 13. Nienhius, David R., and Robert W. Wall. Reading the Epistles of James, Peter, John, and Jude as Scripture: The Shaping and Shape of a Canonical Collection. Grand Rapids: Eerdmans, 2013. 6. Bernard Brandon Scott et al., Reading New Testament Greek (Peabody, MA: Hendrickson, 1993), 53. 17. Scott et al., Reading New Testament Greek, 42. Scott, Bernard Brandon, Margaret Dean, Kristen Sparks, and Frances LaZar. Reading New Testament Greek. Peabody, MA: Hendrickson, 1993. 6. Miriam Adeney, Femmes musulmanes: Construire des ponts avec elles, trans. Evelyne Zwahlen (Thoune, Switzerland: Edition Sénevé, 2005), 34. 17. Adeney, Femmes musulmanes, 34. Adeney, Miriam. Femmes musulmanes: construire des ponts avec elles. Translated by Evelyne Zwahlen. Thoune, Switzerland: Edition Sénevé, 2005. 6. Daniel Castelo, ed., Holiness as a Liberal Art (Eugene, OR: Pickwick, 2012), 42. 17. Castelo, Holiness as a Liberal Art, 43. Castelo, Daniel, ed. Holiness as a Liberal Art. Eugene, OR: Pickwick, 2012. 6. Paul L. Gavrilyuk, Douglas M. Koskela, and Jason E. Vickers, eds., Immersed in the Life of God: The Healing Resources of the Christian Faith: Essays in Honor of William J. Abraham (Grand Rapids: Eerdmans, 2008), 115. 17. Gavrilyuk, Koskela, and Vickers, 51. Gavrilyuk, Paul L., Douglas M. Koskela, and Jason E. Vickers, eds. Immersed in the Life of God: The Healing Resources of the Christian Faith: Essays in Honor of William J. Abraham. Grand Rapids: Eerdmans, 2008. 6. Douglas M. Strong et al., eds., Reclaiming the Wesleyan Tradition: John Wesley’s Sermons for Today (Nashville: Discipleship Resources, 2007), 103. 17. Strong et al., eds., Reclaiming the Wesleyan Tradition, 101. Strong, Douglas M., Sarah B. Dorrance, Robert McDonald-Walker, Ingrid Yang, and Kevin M. Watson, eds. Reclaiming the Wesleyan Tradition: John Wesley’s Sermons for Today. Nashville: Discipleship Resources, 2007. 6. Robert Drovdahl, "The Developmental Use of Mentoring," in Nuture That Is Christian: Developmental Perspectives on Christian Education, ed. Jim Wilhite and John Dettoni (Wheaton, IL: Victor Books, 1995), 233. 17. Drovdahl, "The Developmental Use of Mentoring," 226. Drovdahl, Robert. "The Developmental Use of Mentoring." Pages 225-34 in Nuture That Is Christian: Developmental Perspectives on Christian Education. Edited by Jim Wilhite and John Dettoni. Wheaton, IL: Victor Books, 1995. 6. John Wesley, "Christian Perfection" (Sermon 40 (1741)), in John Wesley's Sermons: An Anthology, ed. Albert C. Outler and Richard P. Heitzenrater (Nashville: Abingdon Press, 1991), 82. 17. Wesley, "Christian Perfection," 79. Wesley, John. "Christian Perfection" (Sermon 40 (1741)). Pages 70-84 in John Wesley's Sermons: An Anthology. Edited by Albert C. Outler and Richard P. Heitzenrater. Nashville: Abingdon Press, 1991. 6. Frank Anthony Spina, "The 'Face of God': Esau in Canonical Context," in The Quest for Context and Meaning: Studies in Biblical Intertextuality in Honor of James A. Sanders, ed. Craig A. Evans and Shemaryahu Talmon (Leiden: Brill, 1997), 9-10. 17. Spina, "The 'Face of God,'" 23. Spina, Frank Anthony. "The 'Face of God': Esau in Canonical Context." Pages 3-25 in The Quest for Context and Meaning: Studies in Biblical Intertextuality in Honor of James A. Sanders. Edited by Craig A. Evans and Shemaryahu Talmon. Leiden: Brill, 1997. 6. Douglas M. Strong, introduction to Rediscovering an Evangelical Heritage: A Tradition and Trajectory of Integrating Piety and Justice, by Donald W. Dayton and Douglas M. Strong, 2nd ed. (Grand Rapids: Baker Academic, 2014), 17. Note: the actual title of this introduction ("Introduction to the Second Edition (2014): A Tradition of Integrated Faith") does not appear at 6.2.14 in The SBL handbook of Style. Note also that because the example in The SBL Handbook of Style is a 1st edition, I have had to innovate a bit at that point here. Strong, Douglas M. Introduction to Rediscovering an Evangelical Heritage: A Tradition and Trajectory of Integrating Piety and Justice, by Donald W. Dayton and Douglas M. Strong. 2nd ed. Grand Rapids: Baker Academic, 2014. Note: the title of the introduction ("Introduction to the Second Edition (2014): A Tradition of Integrated Faith") does not appear at 6.2.14 in The SBL handbook of Style. Note also that because the example in The SBL Handbook of Style is a 1st edition, I have had to innovate a bit at that point here. 6. Albert C. Outler and Richard P. Heitzenrater, introduction to "Christian Perfection" (Sermon 40 (1741)), in John Wesley's Sermons: An Anthology, ed. Albert C. Outler and Richard P. Heitzenrater (Nashville: Abingdon Press, 1991), 69. 17. Outler and Heitzenrater, introduction to "Christian Perfection," 69. Outler, Albert C., and Richard P. Heitzenrater. Introduction to "Christian Perfection" (Sermon 40 (1741)). Page 69 in John Wesley's Sermons: An Anthology. Edited by Albert C. Outler and Richard P. Heitzenrater. Nashville: Abingdon Press, 1991. 6. Nancy T. Ammerman, "North American Protestant Fundamentalism," in Fundamentalisms Observed, ed. Martin E. Marty and R. Scott Appleby, vol. 1 of The Fundamentalism Project, ed. Martin E. Marty and R. Scott Appleby (Chicago: University of Chicago Press, 1991), 21. 17. Ammerman, "North American Protestant Fundamentalism," 29-38. Ammerman, Nancy T. "North American Protestant Fundamentalism." Pages 1-65 in Fundamentalisms Observed. Edited by Martin E. Marty and R. Scott Appleby. Vol. 1 of The Fundamentalism Project. Edited by Martin E. Marty and R. Scott Appleby. Chicago: University of Chicago Press, 1991. 6. Bo Lim, The 'Way of the Lord' in the Book of Isaiah, LHBOTS 522 (London: T & T Clark International, 2010), 131-57. 17. Lim, "The 'Way of the Lord,'" 141. Lim, Bo. The 'Way of the Lord' in the Book of Isaiah. LHBOTS 522. London: T & T Clark International, 2010. Note: At SPU it is permissible to spell bibliographical abbreviations out: Library of Hebrew Bible/Old Testament Studies. 6. Robert W. Wall, Why the Church? RNT (Nashville: Abingdon, 2015), EBL edition, ch. 3. 17. Wall, Why the Church? ch. 4. Wall, Robert W. Why the Church? RNT. Nashville: Abingdon, 2015. EBL edition. 6. John Calvin, Commentary on a Harmony of the Evangelists, Matthew, Mark, and Luke, trans. William Pringle, 3 vols. (Edinburgh: Calvin Translation Society, 1845-1846; repr., Grand Rapids: Eerdmans, 1965), 2:149, http://hdl.handle.net/2027/uva.x000210834?urlappend=%3Bseq=155. 6. John Calvin, Commentary on a Harmony of the Evangelists, Matthew, Mark, and Luke, trans. William Pringle, 3 vols. (Edinburgh: Calvin Translation Society, 1845-1846; repr., Grand Rapids: Eerdmans, 1965), vol. 2 at Luke 12:17, http://www.ccel.org/ccel/calvin/calcom32.ii.xxv.html. 17. Calvin, Commentary on a Harmony of the Evangelists, 2:146, http://hdl.handle.net/2027/uva.x000210834?urlappend=%3Bseq=152. 17. Calvin, Commentary on a Harmony of the Evangelists, vol. 2 at Luke 12:13, http://www.ccel.org/ccel/calvin/calcom32.ii.xxv.html. Calvin, John. Commentary on a Harmony of the Evangelists Matthew, Mark, and Luke. Translated by William Pringle. 3 vols. Edinburgh: Calvin Translation Society. 1845-1846. Repr. Grand Rapids: Eerdmans, 1965. http://catalog.hathitrust.org/Record/009795296. Calvin, John. Commentary on a Harmony of the Evangelists Matthew, Mark, and Luke. Translated by William Pringle. 3 vols. Edinburgh: Calvin Translation Society. 1845-1846. Repr. Grand Rapids: Eerdmans, 1965. http://www.ccel.org/ccel/calvin/calcom32.i.html. 6. Richard B. Steele, "Christian Virtue and Ministry to Persons with Disabilities," JRDH 1 (2010): 28-46. 17. Steele, "Christian Virtue," 37. Steele, Richard B. "Christian Virtue and Ministry to Persons with Disabilities." JRDH 1 (2010): 28-46. Note: at SPU it is permissible to spell bibliographic abbreviations out: Journal of Religion, Disability, and Health. 6. Kerry Dearborn, "Celtic Spirituality and Theology," GDT 143. 17. Dearborn, "Celtic Spirituality," 144. Dearborn, Kerry. "Celtic Spirituality and Theology." GDT 143-45. Note: at SPU is is permissible to spell bibliographic abbreviations out: Global Dictionary of Theology. 6. Jeffrey F. Keuss, "Baptism IV. Literature," EBR 3:467. Keuss, Jeffrey F. "Baptism IV. Literature." EBR 3:466-67. Note: at SPU is is permissible to spell bibliographic abbreviations out: Encyclopedia of the Bible and Its Reception. NOTE: IT IS VERY IMPORTANT NOW TO CONSULT ON THIS TOPIC THIS SERIES OF OFFICIAL SBL POSTS, AND TO PRIORITIZE WHAT THEY SAY OVER ANYTHING ONCE SAID HERE. Note: To create Greek and Hebrew, cut and paste from Web-based tools like http://www.lexilogos.com/keyboard/hebrew.htm and http://www.typegreek.com/ (see me for help with this, if necessary). But change the font at that specific point in your document to something like Times New Roman. "For the discussion of a word or a family of words, give the entire title and page range of the article" (6.3.7). At SPU, by contrast, any of the following (rather than "the entire title") will be acceptable: "οἰκονομία; . . . οἰκονόμος; . . . οἰκονομέω," OR "οἰκονομία, οἰκονόμος, οἰκονομέω," OR "οἰκονομία κτλ.," OR "οἰκονομία," etc. "For the discussion of a specific word in an article covering a larger group of words, name just the word discussed and those pages on which it is discussed" (6.3.7), assuming that the main discussion of said word is thus localized. 6. Jan-Adolph Bühner, "καθίστημι, καθιστάνω," EDNT 2:225-26. Balz, Horst, and Gerhard Schneider, eds. Exegetical Dictionary of the New Testament. Translated by Virgil P. Howard, John W. Medendorp, and James W. Thompson. 3 vols. Grand Rapids: Eerdmans, 1990-1993. 6. Hans Conzelmann, "φῶς κτλ.," TDNT 9:310-58. Kittel, Gerhard, and Gerhard Friedrich, eds. Theological Dictionary of the New Testament. Translated by Geoffrey W. Bromiley. 10 vols. Grand Rapids: Eerdmans, 1964-1976. 6. "οἰκονομία; . . . οἰκονόμος; . . . οἰκονομέω," NIDNTTE 3:465-69. Silva, Moisés, ed. New International Dictionary of New Testament Theology and Exegesis. 2nd ed. 5 vols. Grand Rapids: Zondervan, 2014. 6. "εὐαγγελίζομαι, εὐαγγέλιον, εὐαγγελιστής," TLNT 2:82-92. Spicq, Ceslas. Theological Lexicon of the New Testament. Translated by James D. Ernest. 3 vols. Peabody, MA: Hendrickson, 1994. 6. Richard B. Steele,"Teaching Christian Prison Literature in Prison" (paper presented at the Church History Section of the Pacific Northwest Regional Meeting of the AAR/SBL, Portland, OR, 11 May 2012), 3. 17. Steele, "Teaching Christian Prison Literature," 7. Steele, Richard B. "Teaching Christian Prison Literature in Prison." Paper presented at the Church History Section of the Pacific Northwest Regional Meeting of the AAR/SBL, Portland, OR, 11 May 2012. 6. Richard B. Steele, "Maximus Confessor and the Monothelite Controversy" (THEO 6020 lecture, Seattle Pacific Seminary, Seattle, WA, 3 November 2015). Steele, Richard B. "Maximus Confessor and the Monothelite Controversy." THEO 6020 lecture, Seattle Pacific Seminary, Seattle, WA, 3 November 2015. 6. Richard B. Steele, "Maximus Confessor and the Monothelite Controversy" (THEO 6020 Power Point presentation, Seattle Pacific Seminary, Seattle, WA, 3 November 2015), slide 47. 17. Steele, "Maximus Confessor," slide 15. Steele, Richard B. "Maximus Confessor and the Monothelite Controversy." THEO 6020 Power Point presentation, Seattle Pacific Seminary, Seattle, WA, 3 November 2015. 6. Jeff Keuss, "The Emergent Church and Neo-Correlational Theology after Tillich, Schleiermacher, and Browning," SJT 61 (2008): 452, doi:10.1017/S0036930608004201. 17. Keuss, "The Emergent Church," 459. Keuss, Jeff. "The Emergent Church and Neo-Correlational Theology after Tillich, Schleiermacher, and Browning." SJT 61 (2008): 450-61. doi:0.1017/S0036930608004201. Note: "electronic journal article citations should include a DOI (preferred) or a URL. The URL must resolve directly onto the page on which the article appears. Both DOI and URL may be included if desired" (95). At SPU it is permissible to spell bibliographic abbreviations out: Scottish Journal of Theology. 6. Pelagius, Letter to Demetrias, par. 3 (Van de Weyer). 17. Pelagius, Letter to Demetrias, par. 4. Pelagius. Letter to Demetrias. Translated by Robert Van de Weyer. Page __ in The Letters of Pelagius: Celtic Soul Friend. Evesham: Arthur James, 1995. http://silouanthompson.net/library/early-church%20/pelagius-to-demetrias/. 6. Pelagius, Letter to Demetrias 2.1 (Rees). 17. Pelagius, Letter to Demetrias 2.2. Pelagius, Letter to Demetrias. Translated by B. R. Rees. Pages 35-70 in The Letters of Pelagius and his Followers. Woodbridge, Suffolk: Boydell Press, 1991. http://epistolae.ccnmtl.columbia.edu/letter/1296.html. 6. Leo I, Tome, par. 9 (EWTN). 17. Leo I, Tome, par. 3. Leo I. Tome. Translated by Robert Butterworth. Excerpted by the Eternal Word Television Network. Pages 77-82 in Nicaea I to Lateran V. Vol. 1 of Decrees of the Ecumenical Councils. Edited by Norman P. Tanner, S.J. Washington, DC: Georgetown University Press, 1990. http://www.ewtn.com/faith/teachings/incac1.htm. 6. Ignatius, Epistle to the Ephesians 10 (Louth and Staniforth). Louth, Andrew, ed. Early Christian Writings: The Apostolic Fathers. Translated by Maxwell Staniforth and Andrew Louth. London: Penguin Books, 1987. 6. Martyrdom of Polycarp 7.3 (Shepherd). 17. Martyrdom of Polycarp 2.4. Martyrdom of Polycarp. Translated by Massey Hamilton Shepherd, Jr. Pages 149-158 in Early Christian Fathers. Edited by Cyril C. Richardson. LCC 1. Philadelphia: The Westminster Press, 1953. 6. Jerome, Commentary on Haggai 1.11, trans. Alberto Ferreiro (ACCS OT 14:221) . 6. Jerome, Homilies on the Psalms 60, trans. Marie Liguori Ewald (ACCS OT 14:154). 6. John Cassian, Conference 9.18, trans. Owen Chadwick* (ACCS OT 14:154-55). 6. Origen, Homilies on Jeremiah 15.3.2, trans. John Clark Smith** (ACCS OT 14:173). Note: Since the student would have to know how to procure it on the basis of the relevant footnote in a given volume of ACCS, information about the translator (in red) shall be considered entirely optional. Nonetheless, see (in this case) ACCS OT 14:xiv, where a single asterisk (*) is said to indicate that the pre-existing translation utlized by editor Ferreiro has been only slightly updated, but a double asterisk (**), that it has been significantly amended. Also, Nicole Tilford of SBL has suggested that the Augustine example at 6.4.5 (ANF and NPNF), rather than 6.4.1.1 (COS), be used as the model, and that ACCS OT be cited as a work in a series (6.2.24) rather than as a titled volume in a multivolume work (6.2.21), which is how I cite it in the bibliography entry below. 17. Jerome, Commentary on Haggai 1.11, ACCS OT 14:221. Ferreiro, Alberto, ed. The Twelve Prophets. Vol. 14 of Ancient Christian Commentary on Scripture: Old Testament. Edited by Thomas C. Oden. Downers Grove, IL: InterVarsity Press, 2003. 6. Robert W. Wall and Richard B. Steele, 1 and 2 Timothy and Titus, THNTC (Grand Rapids: Eerdmans, 2012), 83. 17. Wall and Steele, 1 and 2 Timothy and Titus, 420-21. Wall, Robert W., and Richard B. Steele. 1 and 2 Timothy and Titus. THNTC. Grand Rapids: Eerdmans, 2012. Note: at SPU it is permissible to spell bibliographic abbreviations out: Two Horizons New Testament Commentary. 6. Robert W. Wall, The Acts of the Apostles: Introduction, Commentary, and Reflections, in NIB 10, ed. Leander E. Keck (Nashville: Abingdon, 2002), 75-86. 17. Wall, The Acts of the Apostles, 81. Wall, Robert W. The Acts of the Apostles: Introduction, Commentary, and Reflections. Pages 1-368 in vol. 8 of NIB. Edited by Leander E. Keck. Nashville: Abingdon, 2002. See also now the "Citing URLs" entry on the SBL Handbook of Style website. 6. 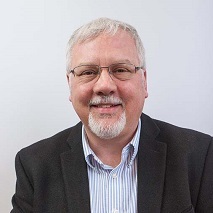 Richard B. Steele, "They're Not Dancing," Dean's Desk (blog), Signposts from Seattle Pacific Seminary (blog), 11 March 2015, http://blog.spu.edu/signposts/theyre-not-dancing/. 17. Steele, "They're Not Dancing." “When you fast, brush your hair and wash your face.” (Matt 6:17 CEB) Alternatively: “When you fast, brush your hair and wash your face” (Matt 6:17 CEB). "Authors citing more than one translation of the Bible must indicate which translation is used in a particular [i.e. every individual] citation." Otherwise the abbreviation for the translation in question need appear only the first time the Bible is quoted. Dr. Ninehuis, citing Jas 2:1-7, says. . . .
First Timothy 3:15 is interpreted by Dr. Wall as follows: . . . Here the reference is spelled out because it occurs at the beginning of a sentence. Dr. Spina, commenting on First Kings, argues that. . . .
Isaiah is interpreted by Dr. Lim as an. . . .
6. b. Ḥul. 98b (Cashdan). 17. b. Ḥag. 18b (Rabbinowitz). Epstein, Isidore, ed. The Hebrew-English Edition of the Babylonian Talmud. 30 vols. London: The Soncino Press, 1965-1989. First in-text citation, where "Freedman" gives the translator, and "Freedman and Simon" refers to volume and page number of the edition in English. The latter could be especially important in the case of a long "chapter" without enumerated subsections, for example Gen. Rab. 97 (Vayechi) (Freedman; Freedman and Simon 2:906). Or, alternatively, I suppose, Gen. Rab 97 (Vayechi), at Gen. 49:9. Gen. Rab. 92 (Mikketz).5 (Freedman; Freedman and Simon 2:851-852). Gen. Rab. 92 (Mikketz).3 (Freedman and Simon 2:850). Exod. Rab. 15 (Bo).30 (Lehrman; Freedman and Simon 3:203). Exod. Rab. 15 (Bo).24 (Freedman and Simon 3:195). Freedman, H., trans. Genesis. Vols. 1-2 of Midrash Rabbah, ed. H. Freedman and Maurice Simon, 3rd ed. (London: Soncino, 1983). Lehrman, S. M., trans. Exodus. Vol. 3 of Midrash Rabbah, ed. H. Freedman and Maurice Simon, 3rd ed. (London: Soncino, 1983). On the Ante-Nicene Fathers (ANF) and the Nicene and Post-Nicene Fathers (NPNF), with some reference to the instantiation of those in the Christian Classics Ethereal Library (CCEL), see now "Citing Text Collections 6: ANF and NPNF" at SBL Handbook of Style: Explanations, Clarifications, and Expansions. Chicago Style, Derivation from: "the second edition [of The SBL Handbook of Style] continues the practice of supplementing The Chicago Manual of Style." Indeed, it "reduces some differences” (Preface, p. xii). It "should supplement The Chicago Manual of Style (CMS), except in cases when the field very consciously and authoritatively adopts a different standard” (1.1, p. 1). Author-Date and Works Cited option: the default option is Notes and Bibliography. But as with Chicago style, “Authors writing in the social sciences may elect to use an author-date [and works cited] form of citation rather than the more traditional note-based system”. For more on the author-date and works cited form of citation, see 6.5, on pp. 104-108. Capitalization of Titles in English: in general, "all words … except articles, coordinating conjunctions, and prepositions.…" But if first or last in a title or subtitle, then capitalize regardless. For more detail (it being somewhat more complicated than that), see 6.1.3.3 (p. 73). 6.1.3.4 treats Capitalization of Titles Not in English. Date of "Publication", Unknown: "The use of n.d. (no date) in place of the year in publication details should be avoided" (6.1.4.5), and "SBL Press does not advocate including access dates" instead (6.4.15; cf. 6.1.6). The Chicago Manual of Style, 16th ed. : "When the publication date of a printed work cannot be ascertained, the abbreviation n.d. takes the place of the year in the publication details. A guessed-at date may either be substituted (in brackets) or added. . . . A work for which no . . . date can be determined or reasonably guessed at should be included in a bibliography only if accompanied by the location where a copy can be found" (14.152, underscoring mine). "Citations of website content. . . . include a publication date or date of revision (see 14.8); if no such date can be determined, include an access date (see 14.7)" (14.245, underscoring mine). Ibid. : Ibid. does not appear in the Index to The SBL Handbook, and is not mentioned in the fourth full paragraph on p. 70 ("Subsequent notes in the same work referring to the same source should use the abbreviated note form exhibited in the examples in §§6.2-4, including a shortened form of the main title of the work cited"). Yet Chicago style allows for it. See The Chicago Manual of Style, 16th ed., 14.29 on p. 669; and Turabian, 8th ed., 16.4.2 on p. 161 ("In notes, ibid. should not be italicized; at the start of a note, it should be capitalized") and 17.5.1.1 on p. 189 (underscoring mine). Possessives: "Following The Chicago Manual of Style, all names form the possessive with an apostrophe s. Jesus's and Moses's are not an exception to this rule" (p. 1, referencing 4.1.6 on pp. 16-17). periods and commas: inside, unless one is engaged in " close textual studies, in which it may be important to signal that the punctuation is not part of the quoted material . . . , and  linguistic or phonetic studies, where a foreign term is printed in italics, its definition follows within single quotation marks, and any punctuation is kept outside of the quotation marks. . . ."
question marks and exclamation points: inside if part of the quoted material, outside if not. Sequence of Information: For "a general rule" on the sequence of information, especially useful when it is necessary to create an interpretation, see 6.1.1, p. 71. Spaces: “Only one space is needed after any punctuation, whether within or at the end of a sentence” (2.1.3.5, p. 5). Subtitle, Punctuation before a: "except when double punctuation would result (e.g., following a question mark or exclamation point), a colon (not a period, semicolon, comma, or dash) should separate the title and subtitle. This rule may be applied regardless of the punctuation or lack thereof on the title page" (6.1.3.1, p. 72). "Titles within titles should be set off by quotations marks (even though they are titles of books) and should be capitalized in the same style as the title that includes them. See CMS §§8.163, 8.171, and 14.102" (6.1.3.2). If I read CMS §8.171 aright, this means that the title within the title should be distinguished by the quotation marks alone, not any reverse italicization: A Key to Whitehead's "Process and Reality". (For another example of this, see the citations I've created for the "Student Supplement to 'The SBL Handbook of Style, Second Edition'" (above).) The one exception: "Any term within an italicized title that would itself be italicized in running text—such as a foreign word, a genus name, or the name of a ship—should be set in roman type (reverse italics)": From Tyrannosaurus rex to King Kong: Large Creatures in Fact and Fiction (453).